Polishing off our first division will be the 2009 Los Angeles Dodgers. Every baseball fan knows how last season went. The Dodgers were average until July 31. Over the last two months of the season, the team was still just 30-24, but it was plainly obvious that the addition of Manny Ramirez made the team much more of a threat. Manny finished fourth in the National League MVP race after playing for the team for just two months. Can you name the last player to win the award (NL or AL) after being traded during the season? The Dodgers vastly improved their defense with the addition of Orlando Hudson. Plus the team’s overall makeup is full of players most other teams would die for (Andre Ethier, Matt Kemp, Chad Billingsley, Jonathan Broxton). The mixture of very talented youngsters with strong veteran presence is something you can’t look past. As of this instant, Manny is not a Dodger for 2009. 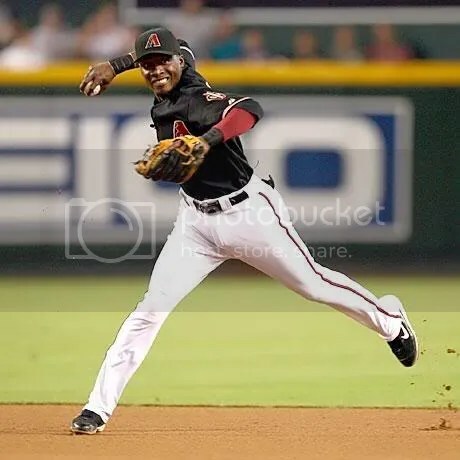 If there’s no Manny, Juan Pierre becomes the likely full-time third outfielder for better or for worse. Behind the teams’ best three pitchers, is a logjam of pitchers recovering from injuries (Jason Schmidt, Shawn Estes) and other unknown variables. It’s never happened. The next player to do it will be the first! There were several MVPs who won in their first season with a team, but none has been traded during the season and won the award. Even without Manny, this team is the class of the NL West. The top of their rotation is the real deal and the “gamer” attitude seen throughout much of the position players is enough to carry the Dodgers to another divisional title with or without Manny. 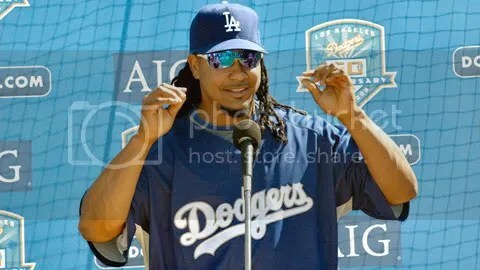 I believe Manny Ramirez will be a Dodger again in 2009. But since he’s not on the roster….yet, I’m rating the team without him. 1st Place, NL West, 88-74.